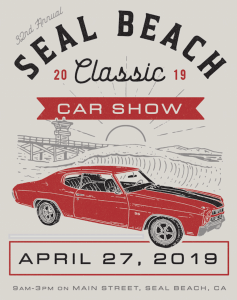 Nothing draws a crowd like the Seal Beach Car Show, and this year’s 31st annual event will be bigger and better than ever. Every year, Main Street in closes down to welcome over 25,000 visitors and 550 amazing cars. Businesses, along with the Chamber of Commerce and the City of Seal Beach, come together for more fun than imaginable. This is truly one of Southern California’s most memorable automotive events. Why? Well, with thirty categories of classic cars, live music, and many more attractions, there is something for everyone. This free event will give you memories that last a lifetime. Don’t miss all the fun this spring!